Drawing noses can be one of the most difficult parts of sketching faces for many artists. After all, if you get it wrong, it’s difficult to get a true likeness of the person you’re painting or drawing. However, if you get it right, you’ll not only see an improvement in your portrait art – you’ll be all set to draw just about any nose you can think of! Luckily, here at Pencil Kings, we only deal in getting it right. So here’s how you can get better at drawing noses (and the rest of the face) in 5 super-simple steps! 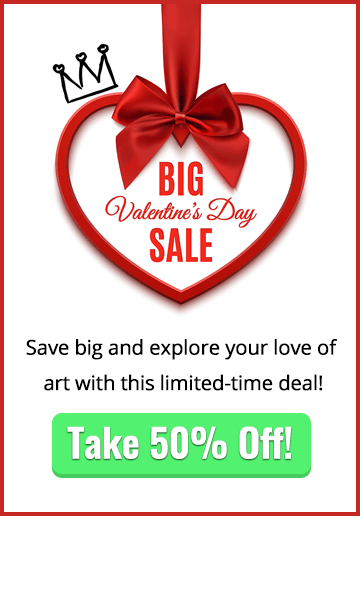 Pencil, paper, pens, graphic tablet – basically anything you like draw with! 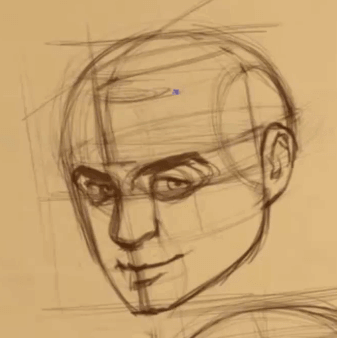 In our previous articles on drawing facial features, you learned how to get the basic head shape right before working out where the eyes and ears should sit. Now, we’re going to show you how to draw a nose. Follow these steps to help you work out where the nose should be placed on the face. 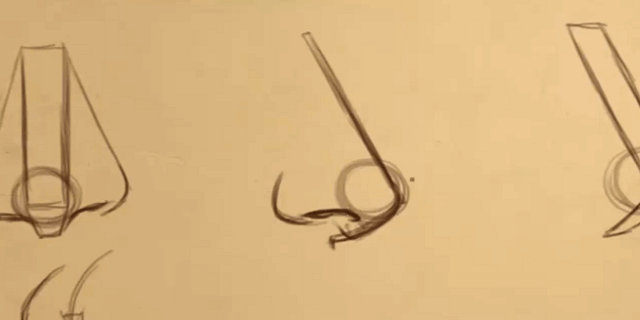 This method works well for both male and female noses, so get your pencils sharpened and let’s get started! To get started with drawing noses, first draw a guideline to help you work out where the bottom of the nose should be. Tip: The bottom of the nose is approximately two thirds down from the hairline. 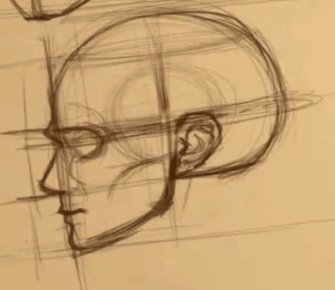 If you need a refresher course on the proportions of the face, take a look at our previous articles or Sycra Yasin’s tutorial series on Face Drawing Proportions. Now, to get the width of the nose right, you need to work on the basis that it’s roughly the same width as one eye for a male face. To work out this measurement, simply draw two vertical lines down from the edges of one eye. You can then use this measurement for working out the width of the nose. What about female eyes? The same rule applies, but all you need to do is make the width of the nose a little smaller. 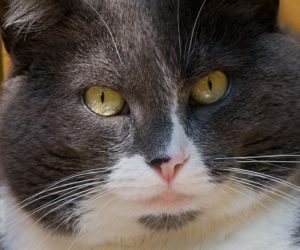 Did you know the same thing applies to some male and female cat noses? Not only is this true, it’s also a good enough excuse for a gratuitous cat pic! You’re welcome. Once you’ve worked out where the nose should be on the face, you’ll no doubt want to know how you can get it to look realistic. For a good introduction to drawing noses realistically, check out this clip from our instructor, Sycra Yasin. It’s best to keep things simple when learning how to draw a nose, so let’s break it down into simple shapes for you. 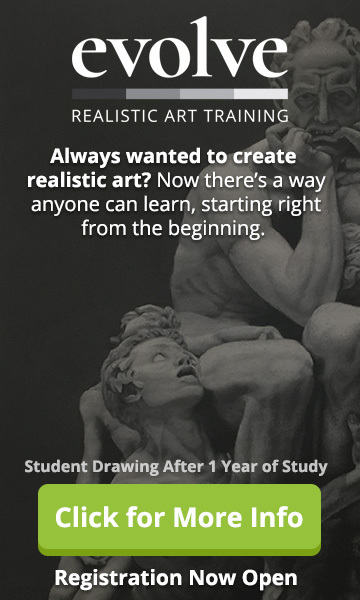 You might also want to check out the Reilly method for learning how to draw a nose, how to draw a mouth, or just about any other area of human anatomy! The nose can be broken down (not literally!) 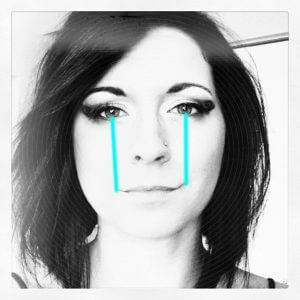 into four parts – the bridge, the septum, the ball and the nostrils. It’s easiest to treat the nose as a series of flat planes viewed from different angles. Note how the septum (where your nose joins your face) echoes the philtrum (the small indent between the bottom of your nose and your lips). In this exercise, you’ll be drawing the ball of the nose as a circle. But, remember this is actually a 3D sphere in reality. When drawing noses from underneath, remember the nose sits above the curved surface of your upper lip. Why is it a curved surface? Because your teeth are underneath! Always remember to include the flat plane where the bridge of the nose meets the brow. We hope this is all making sense so far! When drawing noses, it’s also a good idea to look at the surface direction of this facial feature. There’s no need to draw any lines for where the sides of the nose meet the cheek, but understanding which way the surface flows will certainly come in handy when you’re adding shading. When adding the flat plane at the top of the nose (where the bridge meets your eyebrows), draw some faint shading lines to indicate this. We hope this blog post gives you lots of helpful information about drawing noses. Remember, people’s noses come in all shapes and sizes, but the same rules apply and you can use these for drawing male or female noses. If you want to know more about drawing different nose shapes, check out Sycra’s awesome video course here. You can measure halfway from the bottom of the nose to the chin and place your mouth here. Placing the mouth here or slightly above the halfway point usually works well for female faces. Alternatively, you can split this same section (from nose to chin) into thirds, and then place the mouth one third of the way down. This is the option Sycra usually uses for male faces. Where should the edges of the mouth be? Simply draw some pupils in the middle of the eyes and draw straight lines down from here. You should find the edges of the mouth are roughly in line with these. Here are these lines drawn on a real face to give you a clearer idea:Want to see how placing the mouth works in other views of the face? Remember, some people have bushy eyebrows, some have thin eyebrows and some people even have them tattooed on! Either way, they all follow the top line of the eye socket, so put them here and you can’t go too far wrong.Finally, let’s get to the cheekbones. Some people’s cheekbones are more prominent than others (just think R Patz, ladies! ), but they usually tend to fall in line with the tragus (that’s the flap in your ear that joins to the rest of the face). By this stage, you should now be able to draw the head with realistic-looking features. Don’t be afraid to practice, practice and – you guessed it – practice some more until it all becomes familiar. Why not have fun experimenting with different hairstyles or drawing noses of different shapes and sizes? 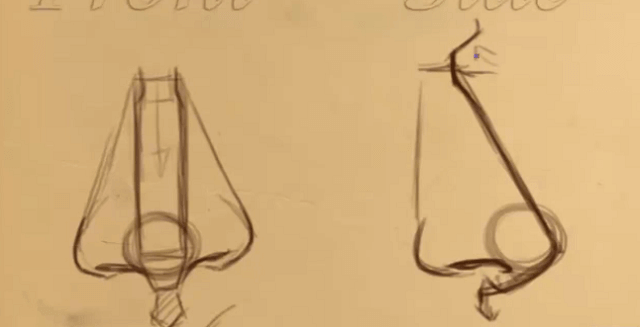 For further reading, check out this blog post on how to draw a nose. Above all, have fun and let us know how you’re getting on in the box below – remember, message boards don’t bite! See you soon for more lessons on how to draw the rest of the human body! Great article, a lot of beginners forget the sphere of the noze. So this part of portrait is flat on their draws or they have more difficulties to draw a face portrait. 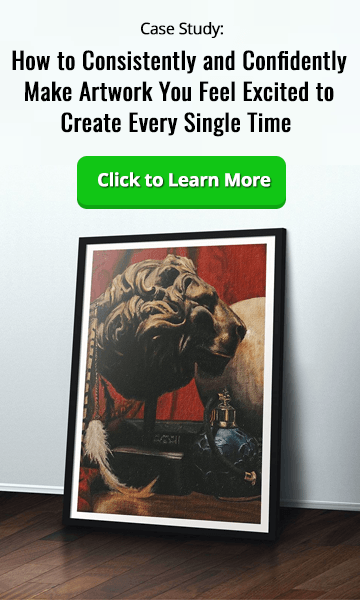 I just discovered your website and there”s pretty good advice. Thank you for your work. Fantastic! Shared on Twitter and How To Draw Comics group, on Facebook.